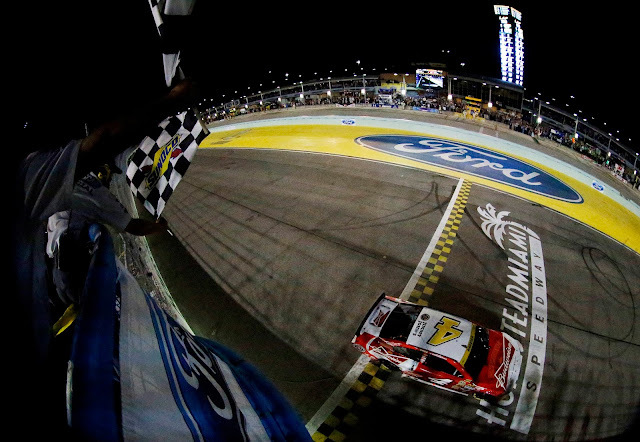 The season comes to a close at Homestead-Miami. Three series, three new champions. Four drivers - Jeff Gordon, Kevin Harvick, Kyle Busch and Martin Truex Jr. - will battle it out for Sprint Cup champion. Who'll be hoisting the trophy at the end? And we say goodbye to a legend. Gordon will run his last race in the Sprint Cup Series in the iconic No. 24. The following is a handy guide to track events and television coverage at Homestead-Miami. All times are in Eastern Standard Time. 10 p.m. NASCAR Victory Lane, FS1. Re-air at 3 a.m. Monday.